In my pile of lead, I found and painted some sci-fi/horror models . 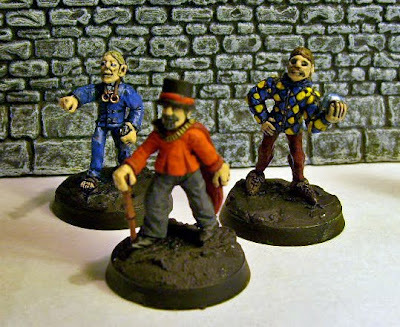 three truly awful models called Time Lord Player Characters (GW/RAFM). The "time lords are really deformed looking, but still easy to paint. 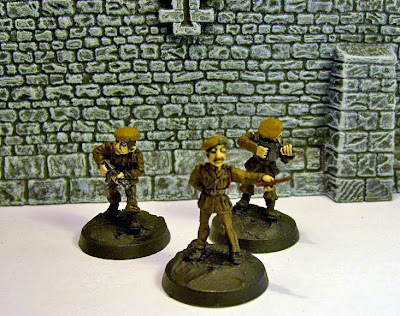 And another 2 UNIT troopers and Sergeant I found, after finishing the others. I also have a small bag of pulp Cthulhu? 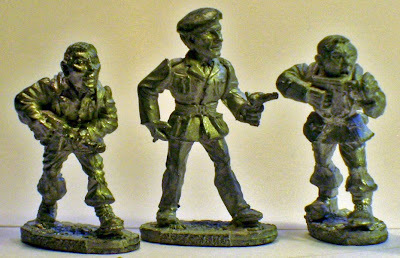 minis that'd be good for Dr Who games. Hopefully I'll paint soon more of them up soon. Here are two poorly painted two Cthulhu characters? (I guess from RAFM). 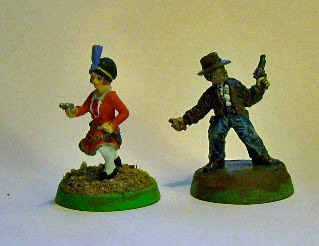 The lady carries a revolver and purse; the Indiana Jones look-a-like has a whip, revolver, and dynamite. They might make good Dr Who game models.